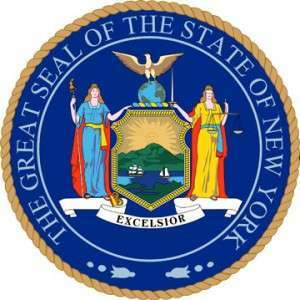 For the second time in three years, New York State Senator John Bonacic (R-42nd) has introduced legislation seeking to authorize and regulate online poker in the Empire State. Sen. Bonacic’s latest effort was quietly reintroduced on Wednesday, and has been designated as New York bill S5302-2015. S5302 picks up where Bonacic’s prior effort in 2013 left off, with his earlier bill having died in the same NY Senate Racing, Gaming and Wagering Committee where Bonacic’s latest bill has already been sent. S5302 is largely similar to Bonacic’s S6913-A (amended version) of 2013, adding only a couple of key, new changes to what was previously considered. A 2014 New York online gambling bill also supported by Bonacic suffered a similar indifferent fate. Among the latest bill’s key points are the elimination of “bad actor” definitions which threatened to automatically bar such possible third-party software providers as PokerStars, which, again, is owned today by Canada’a Amaya Gaming. The inclusion or elimination of such clauses has remained a prominent debate point in every US state to consider legalizing online poker or other forms of online gambling to date. 1. “Contest of chance” means any contest, game, gaming scheme or gaming device in which the outcome depends [in a material degree] PREDOMINANTLY upon an element of chance, notwithstanding that skill of the contestants may also be a factor therein. Existing NY law on games of chance bans virtually all games such as poker — except within the confines of a land-based casino — whether or not the game has significant skill elements or not. New York’s gambling codes are relatively restrictive compared to those found in many other US states, with the blanket ban serving as the linchpin of a prominent legal case brought a few years ago against a Staten Island businessman who ran small, semi-private poker games from his warehouse, in what federal prosecutors claimed was a violation of New York law. The modification within Bonacic’s bill would clarify poker’s status as a game with significant skill elements, and thus not subject to the penal codes in Section 225.00. Declares that the offering of online gaming by unlicensed operators is a crime, subject to both taxation on money wagered as well as criminal penalties for the unlicensed operators. Calls for a 180-day grace period following passage and signing of the law before its provisions would go into effect, and any new licenses could be issued. No committee hearings or vote have yet been scheduled for S5302.